It just got that much easier for our Canadian friends to come down to thier favorite winter time destination. Porter Airlines, a Canadian based airline that offers Canada's only direct, non-stop flight(s) to the Myrtle Beach International Airport (see, it is an international airport) by way of Toranto has announced that they will be offering their first fall service to the Grand Strand. Porter has offered flights to the beach since the winter of 2010 and they say that thier past two Spring and Winter travel schedules have done extreamly well. 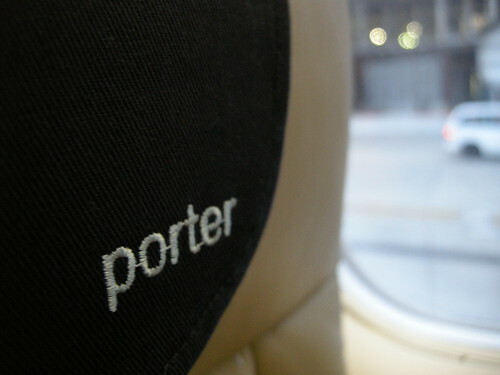 Porter offers twice-weekly roundtrips on Thursdays and Sundays. The fall service will run September 8 until November 20. Regular one-way fares start at $179, plus taxes. Connections are available in Toronto for Ottawa, Montreal, Quebec City, Thunder Bay, Sault Ste. Marie and Windsor. "We've doubled the winter/spring service to four flights weekly, which shows there is considerable interest in travelling conveniently and comfortably to Myrtle Beach from Canada. This response gives us confidence that adding fall flights will be equally popular," said Robert Deluce, president and CEO of Porter Airlines, in a press release. Read the rest of SCNOW.com's coverage of Porter Airlines newest schedule, and see what Brad Dean, President and CEO of the Myrtle Beach Chamber of Commerce and Bill Golden, president of Myrtle Beach Golf Holiday has to say about our annual visitors from our friends up north, Eh!